If the iPhone 3GS had parents, its father would be the iPhone 3G, and its mother would be the 1st Gen iPhone. 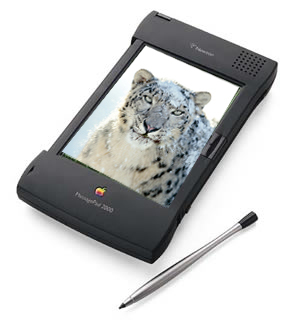 If it had a Grandma, that would unequivocally have to be the Apple Newton. We’ve done teardown videos on all of the iPhone models, and so it seemed only logical (and respectful) to give the Newton the same honor. A few things struck me about this video: the infomercial music, the rate of unscrewing screws (what, no fast forward? ), and the brave use of a soldering iron. Maybe it’s early, but taking a red-hot poker to my Newton is a bit too advanced for me. Anyway, a good how-to if you feel like getting your hands dirty. Posted by davelawrence8 at 6:20 am on September 17th, 2009. No comments... » Categories: DIY, howto, messagepad. Tags: DIY, how to, medic, messagepad, newton, powerbook, video. Subscribe via RSS. With Eckhart Köppen’s Newtpocalypse patch for the eMate complete, I thought I’d install it and see how it performs on my own Newton eMate. 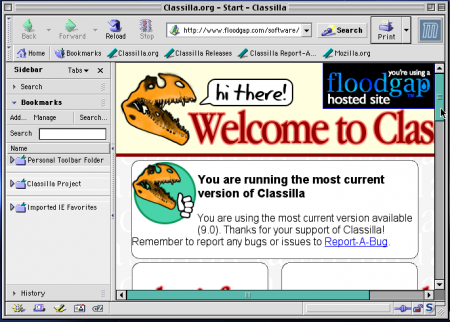 First, though, I downloaded the new Classilla browser for OS 9. This variation of the old Mozilla browser is getting a lot of attention, and deservedly so. Development on iCab has ceased, and many of the Classic Mac browsers do a poor job of rendering modern web sites. As a test, I used Classilla to navigate Köppen’s 40Mhz.org site, where he posts his Newton projects, and download the patch from Sourceforge. It’s easy to install Köppen’s patch. In fact, it’s nothing more than a simple package installation with an automatic reset added at the end. 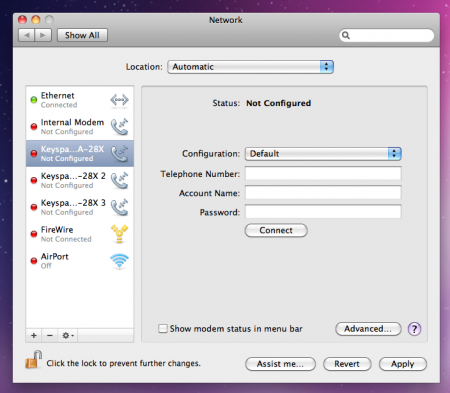 You can either use the Classic Mac installation methods, using Newton Connection Utilities, or the modern NCX or various other OS X-based Newton apps. 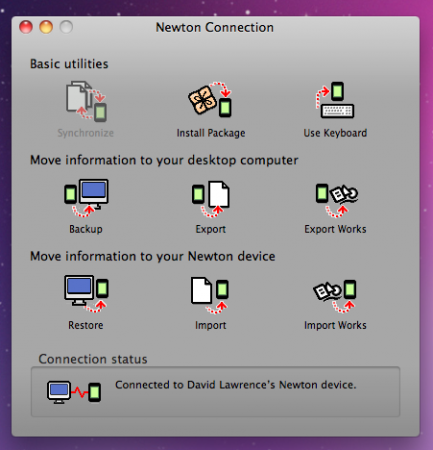 I’m using Newton Connection Utilities on an iMac G3 running OS 9, and connecting with a serial-to-USB dongle. First, download your specific patch file from Köppen’s 40Mhz.org site. As you see above, you’ll have a few options on which patch to download. In my case, I need the 73J186 version. Above you see that my eMate is running Newton OS 2.1, version 737041. This is the part that’s going to change. 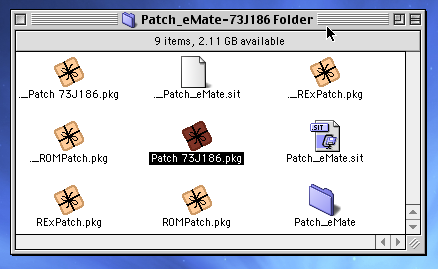 To install Köppen’s Patch 73J186, head to Newton Connection Utilities (on OS 9, or another package installer on OS X) and pick your patch version (above). 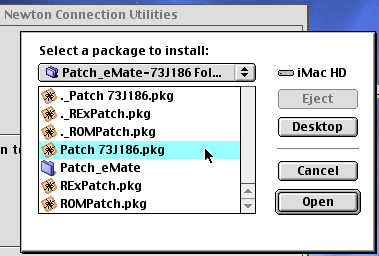 Your package installer will upload the patch to your Newton. After the patch is done installing, your Newton will reset on its own. 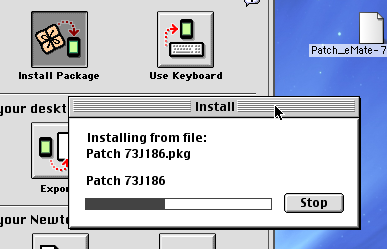 After the restart, my eMate shows the Newton OS 2.1, version 73J186 (the same as the patch version) is installed and up to date. That’s it. And so far, after running my eMate through a battery of high-powered tests (like turning it on and scribbling some notes), everything is hunky-dorey. Bring on 2010. How did your patching process turn out? Posted by davelawrence8 at 6:00 am on August 10th, 2009. 6 comments... » Categories: eMate, howto, newton, software, y2010. 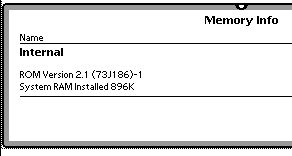 Tags: 73J186, classilla, eMate, newton, newtpocalypse, patch, y2010. Subscribe via RSS. Browsing through eMate battery and recharging articles, I came across Apple’s Power On Procedure After Extended Storage support post. 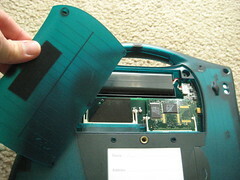 It goes on to describe how to reset your eMate 300 if the battery fails to show a correct charge, and quotes from the eMate 300 User’s Manual. It’s amazing to me that Apple still hosts these how-tos from, what, 12 years ago? I’ve found a few Newton-related articles this way, and all of them have been helpful. None of the articles are updated by Apple anymore, of course. But the fact that Apple still hosts them is a benefit to the Newton community – especially new MessagePad and eMate users who are trying to get the basics down. Maybe a full linked list, with all the support posts, would be helpful. Posted by davelawrence8 at 5:29 am on July 8th, 2009. 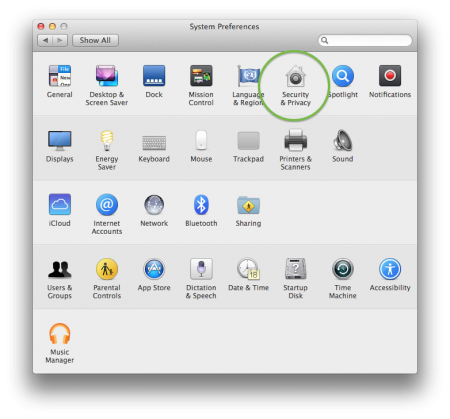 3 comments... » Categories: apple, eMate, howto. Tags: apple, article, battery, eMate, messagepad, newton, recharging, support. Subscribe via RSS. Mark Hoekstra describes how to get a Newton eMate 300 connected to a wireless network over at Geek Technique. Why? “Well, impress your friends!” he says. Hoekstra uses a WaveLAN Orinoco Silver network card, Newton Connection Utilities, a custom-made serial cable, a few package files, and a driver to get his eMate running on a wifi network. He takes plenty of pictures and goes into detail through the whole process. Almost as cool? Using his Mac SE as a media center monitor. Hoekstra loses points for throwing Windows on that beautiful machine, however. One of these days I’ll attempt the wireless eMate project. But for now, Hoekstra’s breakdown should give you a good head-start. Posted by davelawrence8 at 5:18 am on May 11th, 2009. 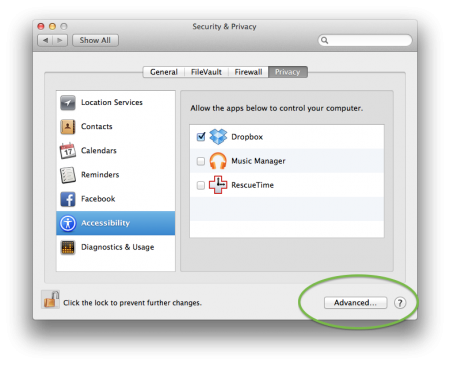 2 comments... » Categories: eMate, howto. 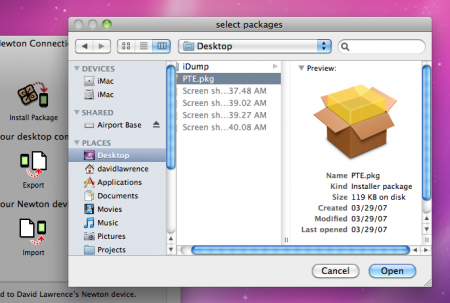 Tags: driver, eMate, mac se, newton, package, wavelan, wifi, windows, wireless. Subscribe via RSS. 2. Launch the tool and Tap “Clear Alarms” – note, you will lose all alarms in Dates and need to set them again! 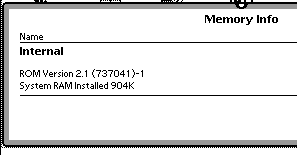 Now Köppen is looking for volunteers with MessagePad 2100s to help him work on a solution to the 2010 bug. His patch testing is a four-step process, as well. If you have a spare MP2100, and you want to help contribute to the Y2010 fix, contact Köppen to help with his testing. Posted by davelawrence8 at 6:42 am on April 22nd, 2009. 2 comments... » Categories: community, howto, newton, y2010. 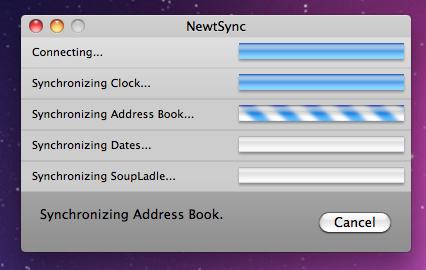 Tags: 2010, eMate, fix2010, messagepad, newton, y2010. Subscribe via RSS. The Newton eMate 300 is a great machine. Small, portable, rugged – a sort of proto-netbook that lets you type on the go. And the battery life is great if you have a working, rechargeable battery with plenty of juice. 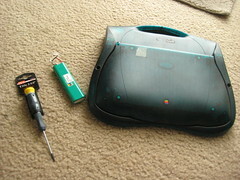 When my eMate came, I found out right away that the battery pack was probably the original. It held a charge for about three minutes. So while it’s handy to pop a few fresh AA batteries into a MessagePad and be back up and running, the eMate relies on its single battery pack. If it goes, you’re stuck with replacing it, building a new one from scratch, or keeping your eMate plugged in at all times. I opted for the simplest solution: buy a new battery pack on eBay and installing it myself. To start, I grabbed a new eMate battery pack from PowerBook Guy, a Torx wrench (I actually took my eMate into the hardware store to get the perfect-sized wrench), my eMate, and some starting instructions from Frank. The first step is to flip your eMate over. 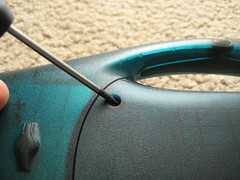 See that half-circle hatch near the handle (above)? That’s what you’re taking off. There are just two screws to remove on the cover, and they’re both at the top. I left the screws in their slots as I lifted the cover off so I wouldn’t lose them. Now you see the good stuff: a few memory slots and the battery. The battery pack isn’t bolted to the eMate; it simply rests in a little trench, with a wire attached to the circuit board. 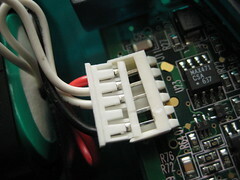 This is the most delicate of the steps: pulling the battery connection cable away from the circuit board. 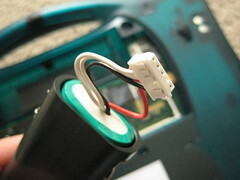 Be careful, and use something (I used my fingernail) to wedge the connector away from the plug-in. 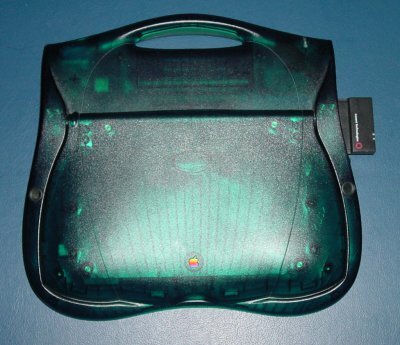 From here, pull the battery pack out of the eMate. The actually battery pack fits snugly inside the holster, but slides right out. 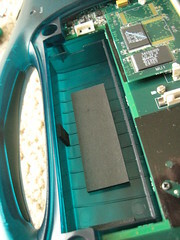 Here’s what the empty battery tray looks like inside the eMate. 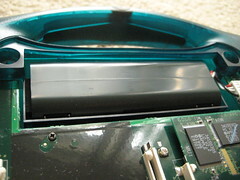 The soft pads keep the battery pack case from sliding around inside the Newton. 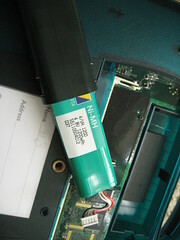 Slide your new battery back inside the protective casing, with the connection wire sticking out of the right-hand side. 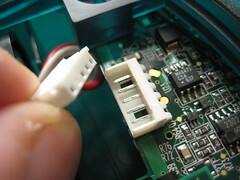 Now carefully slide the connection wire into the circuit board until it snaps tight. A little push on the white part will be plenty. 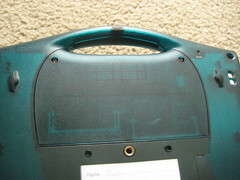 Place the battery case inside the eMate, replace the cover, and tighten your screws. That’s all. 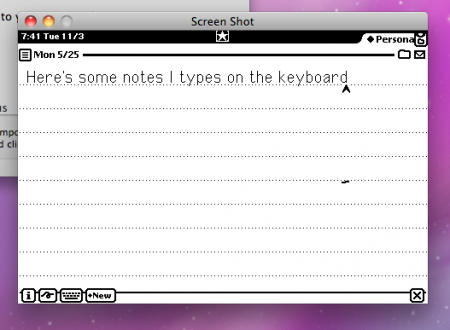 I plugged my eMate in and let it charge a whole day, and now it’s like I have a whole new eMate. A fully-charged battery pack should last you for days, even with heavy usage. The battery pack cost me about $20 (plus shipping) on eBay. There are some DIY die-hards who are all about making their own battery pack, but the soldering made me nervous. Maybe someday I’ll give it a try. This solution, however, worked fine for me. Now my eMate is truly portable because I don’t have to worry about keeping it plugged in at all times. Replacing the battery pack was a cinch, too, and took all of about five minutes. Posted by davelawrence8 at 6:37 am on April 13th, 2009. 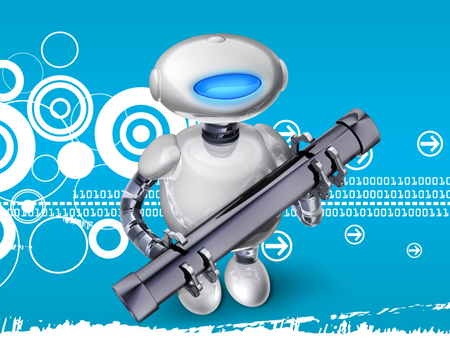 4 comments... » Categories: DIY, eMate, howto. Tags: apple, battery, DIY, eMate, newton, pack, project, recharge, rechargeable, torx. Subscribe via RSS.